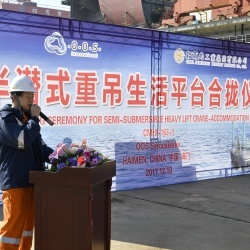 On 19 December 2017, the keel laying ceremony for the OOS Serooskerke (Hull No: 163-1) was held at China Merchants Heavy Industry (Jiangsu) in Haimen. This marks another important milestone for OOS International. 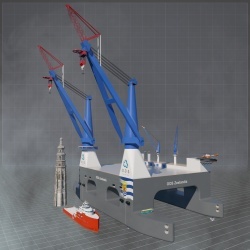 OOS International wishes to clarify the description of the MOU for the SSCV OOS Zeelandia Project highlighted in the press release of December 11th 2017. On some websites misquotes were made mentioning a construction contract has already been signed. We apologize for the confusion this may have caused. 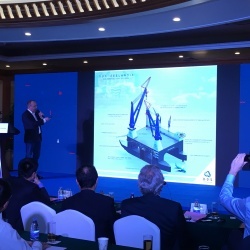 Holding OOS International Group B.V. is pleased to announce it has signed a memorandum of understanding with China Merchants Industry Holdings, a fully owned subsidiary of China Merchants Group headquartered in Hong Kong, for the basic design and construction of the largest SSCV in the world, the OOS Zeelandia, a revolutionary new Semi-Submersible Crane Vessel.